As some of you guys will have read i decided to scrap the idea of painting mr brets in 4 weeks and now plan to do them to the best of my ability. 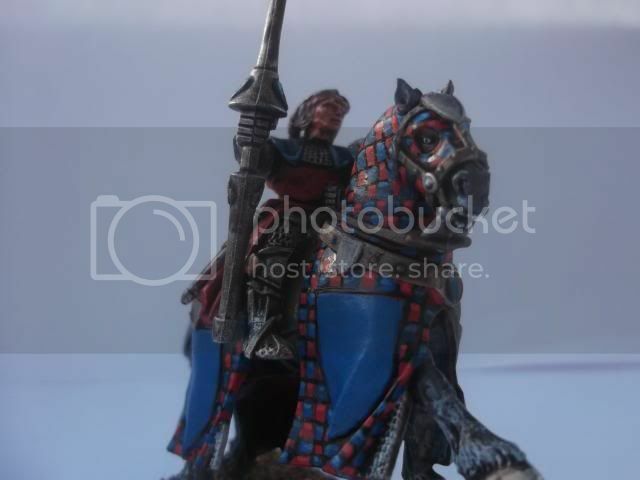 Here are a few pics of the first knight. I just have the freehand heraldry to do once i get more confident with it and also need to decide what to do with the small silver plaques on the strapping. One thought with the plaques was to have the generals colours on those for every horse in the army just as a way of showing their allegiance but maintaining their own colours and heraldry everywhere else. 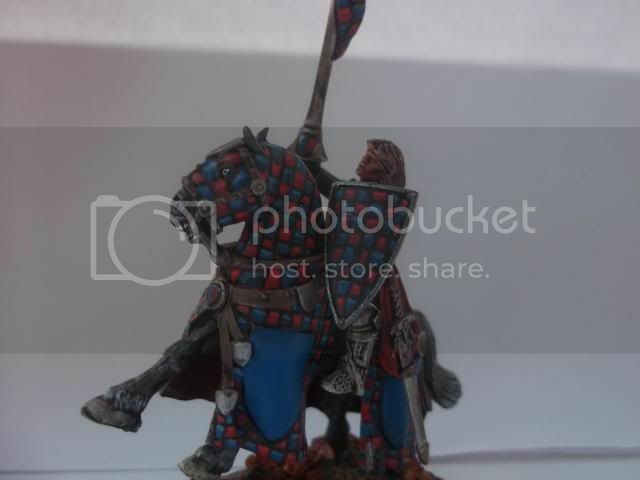 I may give the skin on the rider and the horse another highlight too but wan to see how it looks once ive finished a portion of the unit first. As always any feedback would be great. 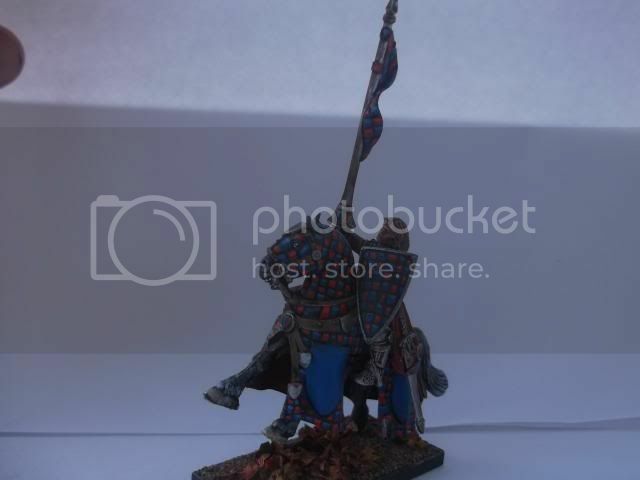 This entry was posted in Army Blogs, Bretonnians, Knights of Lord Garrick Ataris- James' Bretonnians, Warhammer Fantasy and tagged bretonnians, James. Bookmark the permalink.